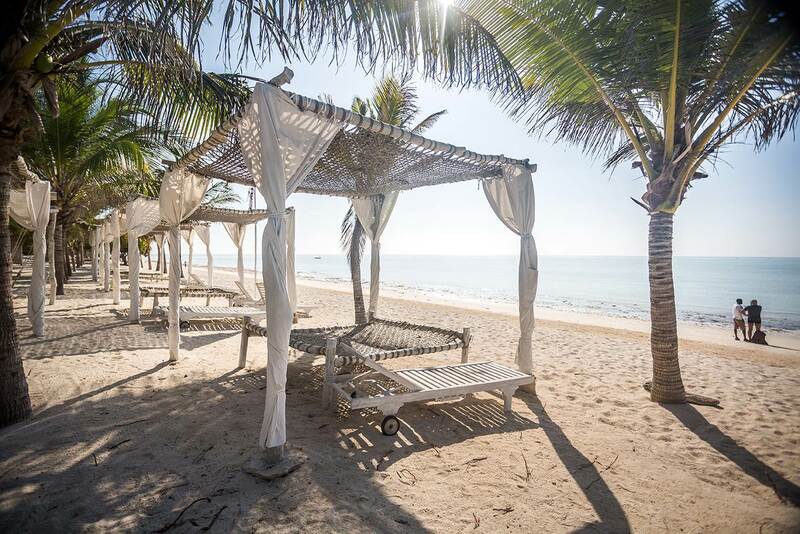 Baobab Resort and Spa nestles in idyllic tropical gardens on a coral headland overlooking the Indian Ocean and 500m of golden sands at Diani Beach. 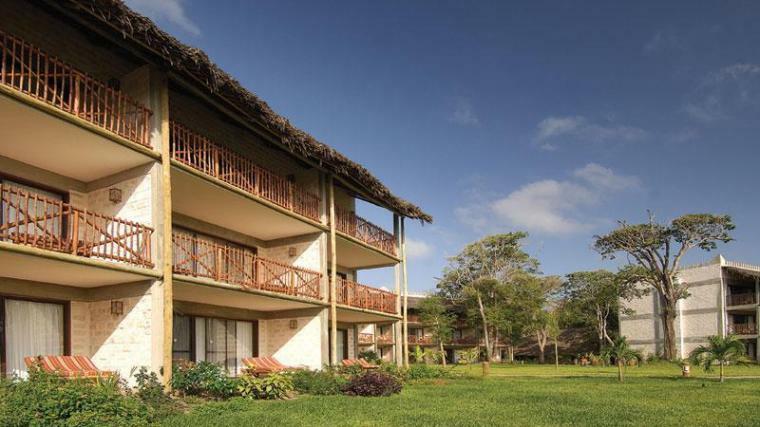 This Mombasa resort was designed with comfort and luxury in mind - from its traditional accommodation and serene spa to flavoursome dining, daytime and evening entertainment, and amazing sports and leisure amenities. Looking to relax? Head to the spa for a massage or simply sunbathe by one of the duo of pools. Feeling active? Partner up for a game of tennis, join in with a fun beach volleyball match, or workout on the cardio machines at the gymnasium. Don't mind getting wet? 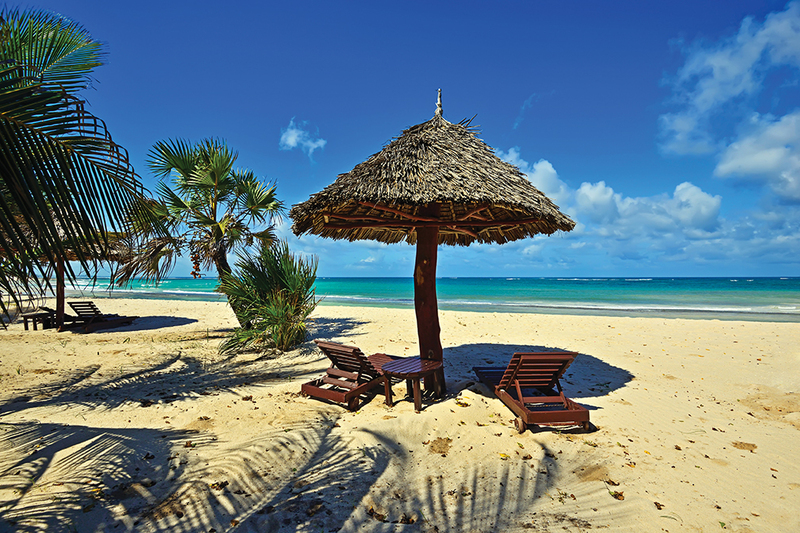 Try your hand at windsurfing or go snorkelling on a glass-bottomed boat trip. 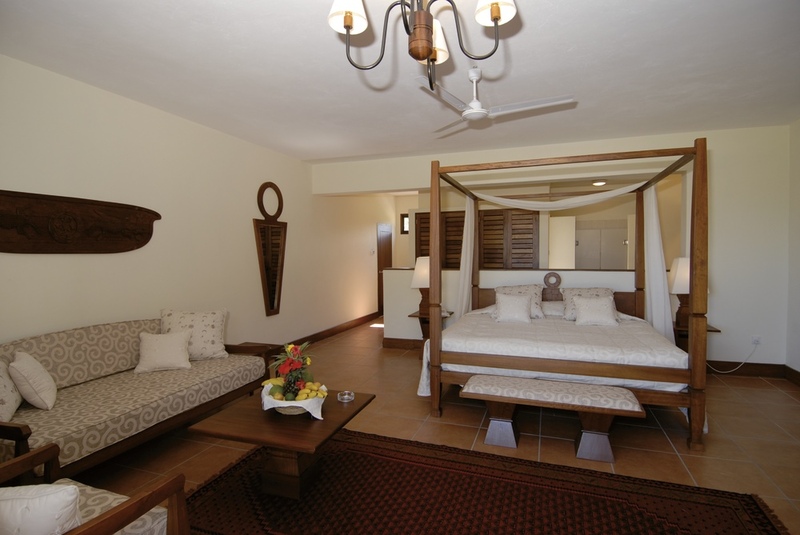 The luxurious guest rooms and suites offer everything you need for a comfortable stay. Sit and watch a film on the flat-screen satellite television, choose a drink from the mini-fridge, or sit and watch the world go by on your outdoor balcony or terrace. 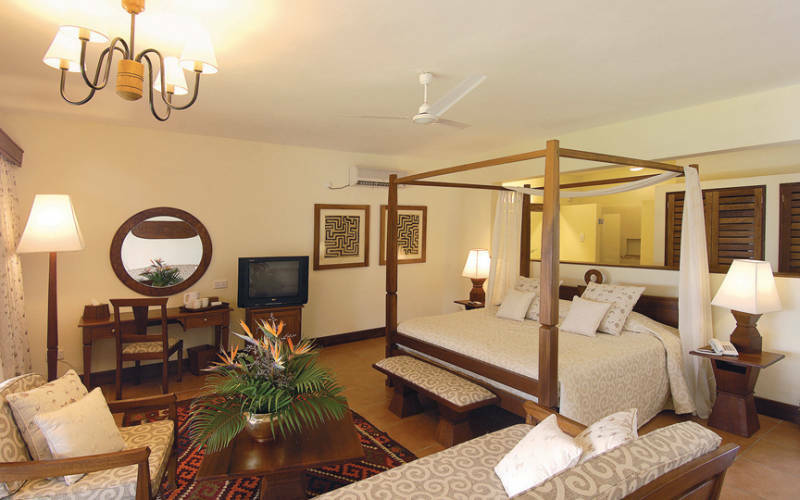 The air-conditioning and comfy beds set the scene for a restful night's sleep. Feast on tasty regional and international cuisine at the on-site eateries. Dine international buffet-style at the three main restaurants or go down the a la carte route and savour Oriental, Far-Eastern, and Italian specialities. With five bars dotted around, you're never too far from a drink. The lively line-up of entertainment, shows, and dancing brings your day to a close in style. 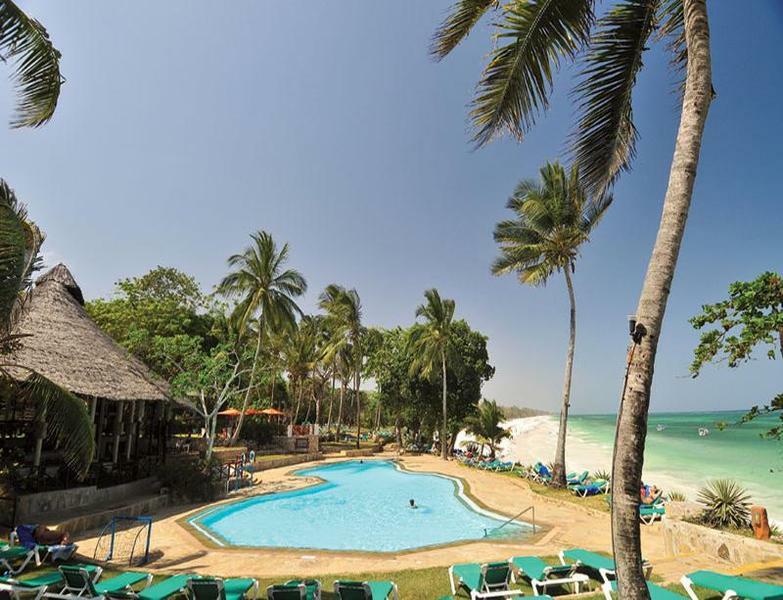 Choose Baobab Beach Resort and Spa for luxury holidays in Mombasa. 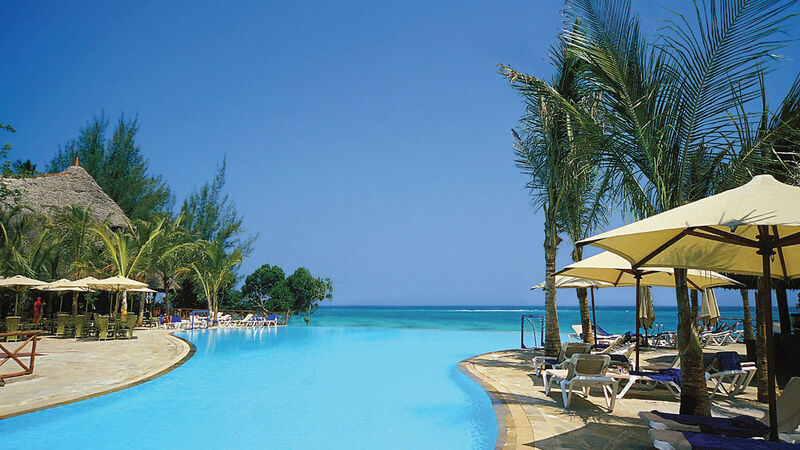 The abundant facilities at Baobab Beach Resort and Spa include: two swimming pools, children's pool, tropical gardens, five restaurants, five bars and lounges, amphitheatre, wellness club and spa, fitness centre, Wi-Fi access, boutique and gift shop, laundry/dry cleaning service, 24-hour reception and concierge, room service, TV room with satellite, library, and shuttle service to Mombasa. 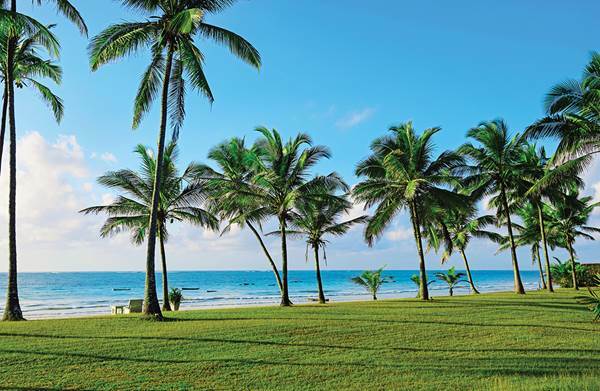 All-day dining options include tasty buffet-style dishes at Jodari; international buffets, live cooking stations, and sea views at Karibu; and light lunches and Asian dinner buffets at Marinade. A la carte options include Oriental and Far-Eastern cuisine in Marhaba and tasty Italian fare in Tangezi. Cold drinks and cocktails are served at Jambo Pool Bar & Cafe. Tapa Tapa Bar, Suli Suli Bar, and Kipepeo Bar all serve up drinks, light snacks, and ambient music. 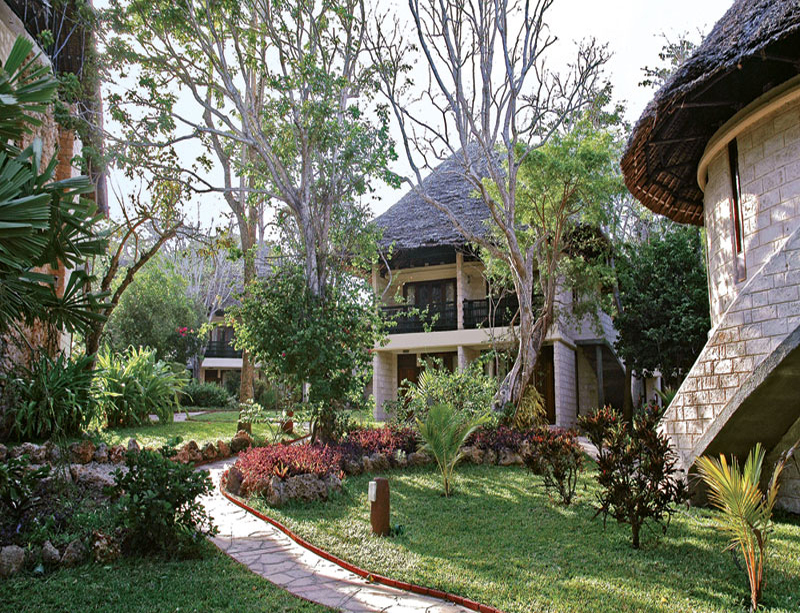 Swahili Lounge is the place for sundowners with garden and beach views. Porini Bar serves international and local drinks and cocktails until late. Porini Amphitheatre hosts the evening entertainment including live shows - Lion King, Allegria, Hot Black, Mango Groove, Mama Mia, Far East, Celebration of Life, Crazy Show, and Rhythm of Drums - and an open-air disco. Kick-start your day with a swim in one of the pools or work up a sweat in the well-equipped gymnasium. Partner up for a few sets of tennis on the all-weather quartz courts or join in with a lively game of beach volleyball. Keep in shape with daily aqualift and aerobics classes. Scuba diving for beginners and advanced divers, windsurfing, big game fishing, golf, catamaran sailing, day excursions, safaris, and snorkelling excursions in glass-bottomed boats are also available on site or nearby. Afya Bora Wellness Club & Spa offers signature beauty treatments, bath and steam rituals, and holistic therapies alongside a steam room, hydro bath, Vichy shower, gymnasium, hair salon, and outdoor Jacuzzi. 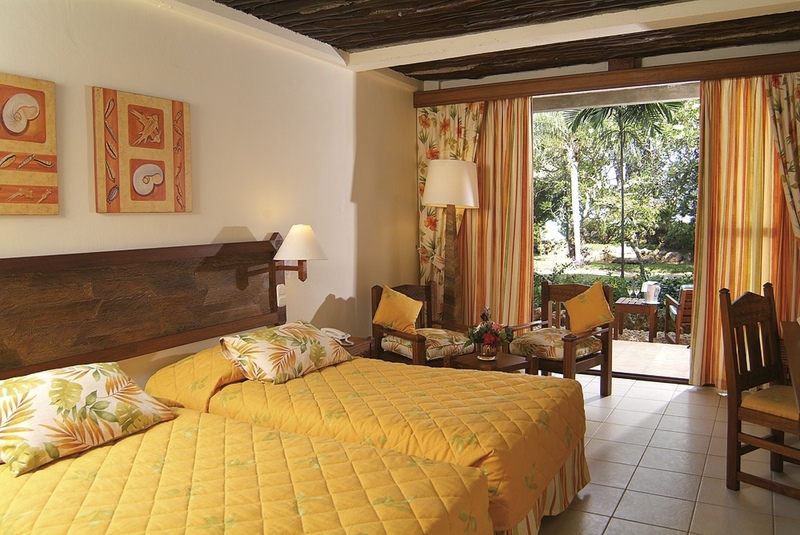 There are a total of 323 guest rooms and suites, comprising Standard, Superior, and Deluxe Rooms, and also Suites. 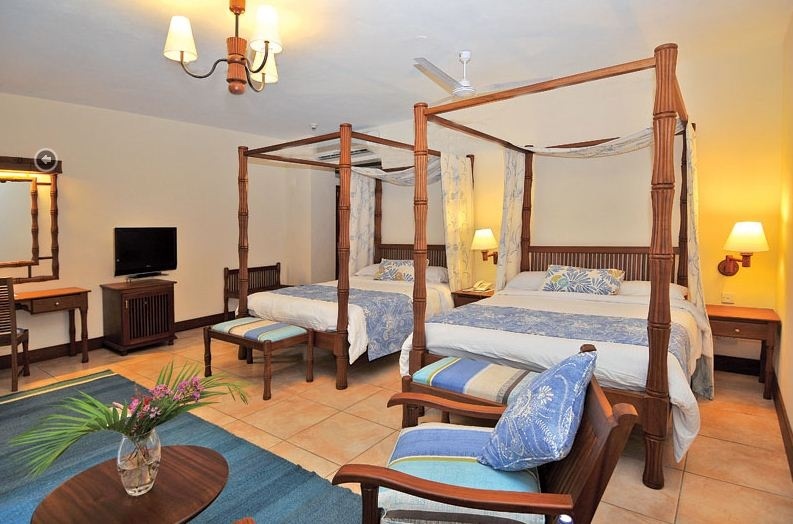 Standard rooms feature a double bed or twin beds, balcony or terrace, air-conditioning, flat-screen television with international satellite channels, telephone, tea/coffee-making facilities, mini-fridge, safe, and hairdryer.